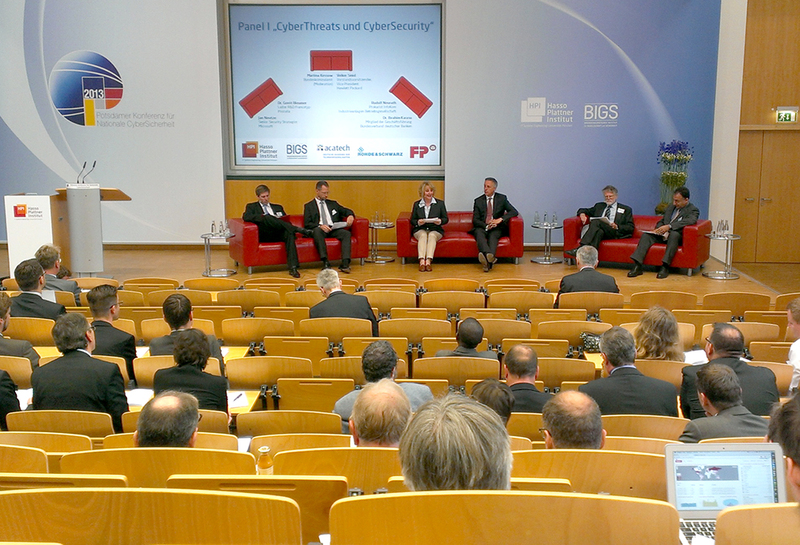 On Tuesday, 4th of June, the “Potsdamer Konferenz für nationale Cybersicherheit” took place at the Hasso-Plattner Institute in Potsdam, Germany. The main goal of the conference was to improve the communication between the government, economy and the different research fields in the issue of cyber-security. For us, it was interesting in two ways: finding the main actors to focus on in our research and learning how the current security situation is rated by the different organisations. The conference started with a few words of welcome from Director and CEO of the Hasso-Plattner Institute, Prof. Dr. Christoph Meinel. In his short Keynote, which was mostly about the work and research of the HPI IT-Security Engineering Team, he also introduced the audience to the new HPI-Vulnerability-Database. A lot more interesting speakers have been invited to talk from their perspective of cyber security. 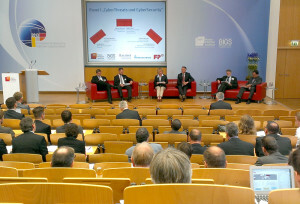 For example the director of the European Network and Information Security Agency (ENISA) Prof. Udo Helmbrecht made a keynote speech addressed to policy- and decision-makers such as the Bundesland Brandenburg-Ministerpräsident, the Federal Minister, as well as industry representatives and others. 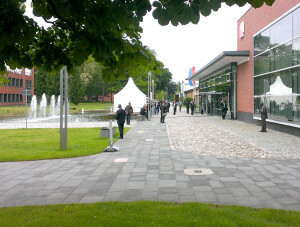 In Focus of our research, this conference was not the very best place to lern new things. But the possibility to make new contacts and meet interesting people in generell was great and we now have a few names to work with in the future time. Also the knowledge of the actors and so called: “big player” in the business is good to have.